Most people have heard of asset finance and assume it has something to do with corporations and the finance industry. One of the biggest hurdles we experience at Haydock Finance is helping small businesses relate the services we offer to your specific businesses, rather than assuming asset finance is not for you. Asset finance sounds distant and almost exotic in some cases but can, if used correctly, be essential in taking a small business to the next level and allowing the use of better machinery and equipment that increase production and efficiencies. Firstly, it is important to note that most people have already done it in one form or another, you probably have. Asset finance is simply helping a person to get the use of an item that they do not want to pay immediately for, or do not have the immediate access to the full finance to afford it. The most obvious example of this in your day to day life would be the local car dealership giving you a purchase method for your next car over 3 or 4 years; or when you walk into a furniture shop and they direct you to a small office at the back of the shop to buy your next sofa on a low interest plan over next couple of years. Both are asset finance. Our first questions to a potential new customer will be; “What do you want and how will you be using the asset? Is it better to own the asset entirely or simply gain use of an asset owned by someone else?” Getting the answers to the above is very important as owning an asset puts more risks on a business in many ways but can be very helpful to gearing on balance sheets. If the asset is to be very heavily used in-life it may be better for you to own it outright rather than simply lease it. However, leasing as opposed to owning it may be cheaper and less risky for you, dependent upon your business. Our job is to understand you and why you want to acquire this asset. How does it fit into your business? Is it the right asset? How long do you need it for? Is that asset durable enough? Does it hold value long enough? Does your cash flow need a unique repayment plan? Is the supplier good, consistent and trustworthy? Is it an asset that we think is good and we know enough about its market? Can we add value for you, and will you make essential use of the asset so that it is a valuable investment? There are many more questions and the scenarios and assets are infinite. Anything that has a value is a potential asset that can be considered for finance; from vehicles, to machines to race horses. So why can leasing be cheaper? It is not always the cheaper option, but in theory leasing is different from purchase options as a lease covers the depreciation of an item over the period you have use of it. So, if you have a contract for 3 years: it is the difference between the price you buy at and the price it is expected to be sold for in 3 years’ time, plus an interest charge for the privilege of using someone else’s property. A purchase contract is the cost of the entire value of the item spread over the period it is financed. So, a lease is likely to look cheaper however you must be confident that ownership of the item isn’t important to you, just the use of the item. Now there are so many methods of finance in the market and an almost infinite way of spreading the finance and matching the payments to your needs, it can be difficult to know where to start. This is where we can help you. We don’t just offer pre-packaged deals but can build tailor-made finance packages based on your business and your unique needs. So, if you want your new expensive machine to be a benefit, not a burden, you need us. 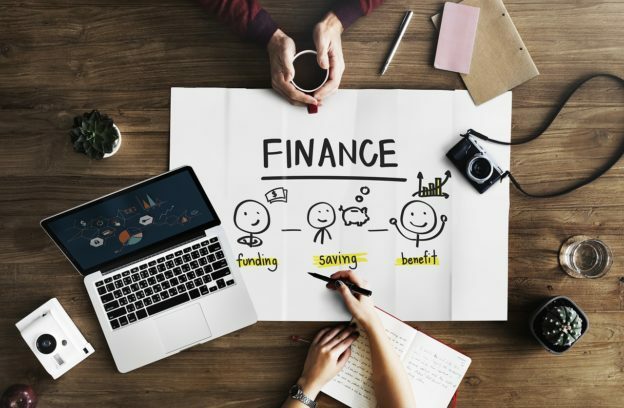 If you are currently making decisions about business purchases, and would like to discuss different finance options, call Richard at Haydock Finance on 07938 377 813, to arrange your free meeting today. With thanks to guest blogger Richard Frazer from Haydock Finance.